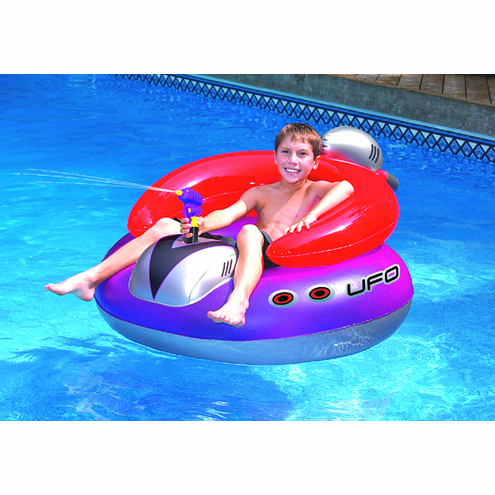 Be the commander of this retro styled 45" inflatable UFO Ride-On with constant supply ray-gun squirter. Enjoy the thrill and adventure of spraying everyone or thing that comes in your path. 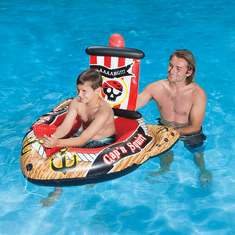 Provides tons of fun and laughs! !